The lucky at your service app is an app that you are sure to fall in love with. It displays not just the best footwear, but also clothes and accessories and you will love it as you can match everything and have a well co-ordinated outfit. Also, it displays the nearest retail store from where you can get all the stuff from. 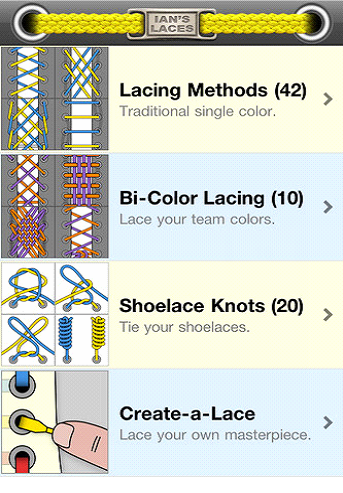 The iShoes app displays over 50000 footwear and they are all one better than the other. There are all the great brands here and you will have a problem selecting the ones that you like because you are sure to like all of them. You have the option of ordering your favourite pair with the help of the app itself. Isn’t that cool? The shoe size converter is an absolute lifesaver for me, because I feel that each company has a different method of measuring my foot size and that leaves me really confused and distressed whenever I shop for footwear. The shoe size converter is here to help you as it converts your shoe size into the various systems that are used by retail outlets and you will not have a problem telling the salesman your shoe size according to any system of measurement. 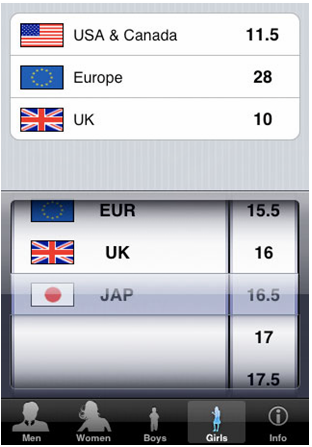 This is an app with a difference. 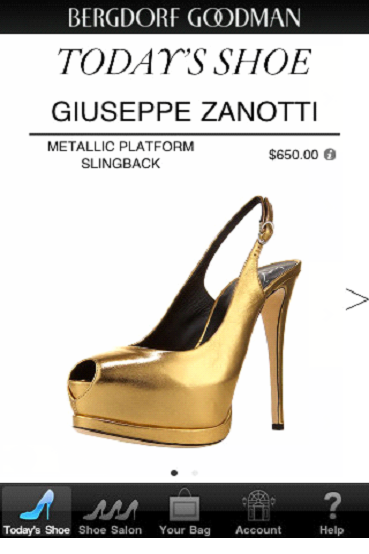 It displays one pair of footwear which is actually the pick of the day and it will display all the information regarding it, including the make, the name of the designer, where you can purchase it from, the price etc. 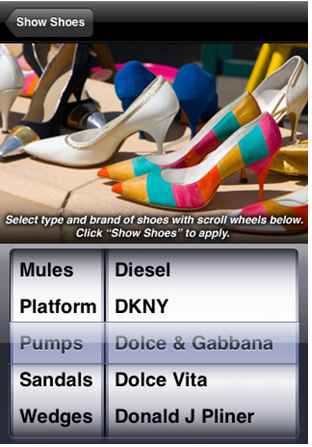 The footwear that is displayed in this app are the ones the Hollywood celebrities are using and thus they are the in thing at present. 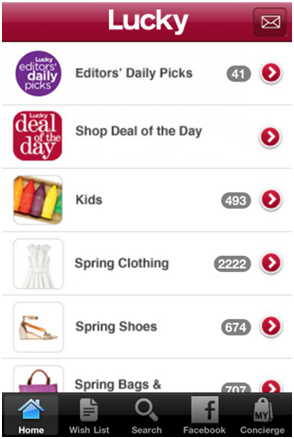 These top 5 iPhone apps for shoe lovers are sure to keep them hooked to their iPhone more than ever. Hope you love them as much as I do. Kate writes about technology as it relates to our every day life, such as buying a pair of shoes. She offers a coupon for ShoeBuy here and a promotion for 6pm in this page. Shoebuy and 6pm are two online stores that carry shoes for men and women. Kate is a proud contributor to imacify and invites you to visit her blog to read reviews of popular merchants.